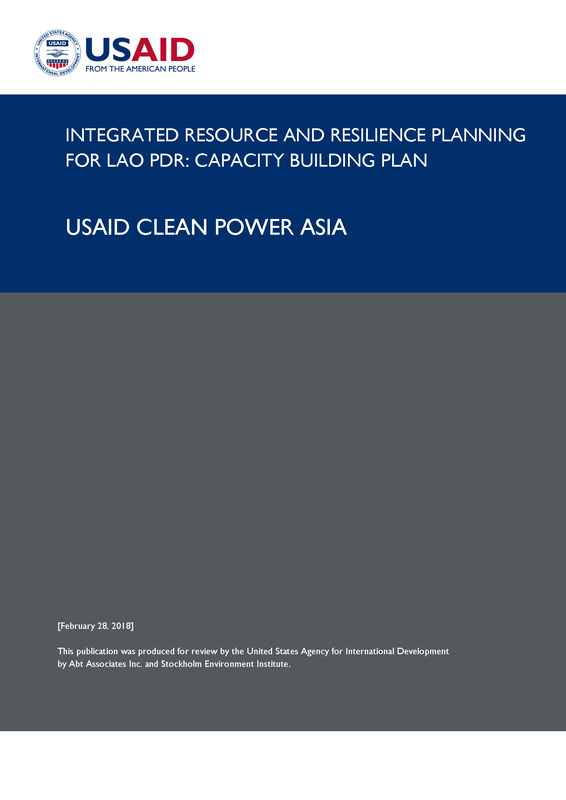 This document describes a capacity building program on Integrated Resource and Resilience Planning (IRRP) for the Lao PDR electricity system. The program is designed to meet needs communicated to USAID Clean Power Asia by the Lao PDR Ministry of Energy and Mines (MEM) and Électricité du Laos (EDL). Intended to last 20 months, the program will guide a core group of participants from these institutions through an IRRP process using a number of activities and missions focused on devising low-regrets power development pathways: development plans that best satisfy a range of planning objectives given multiple uncertainties and possible futures. Analyses required to identify low-regrets pathways will be conducted in a long-term electricity planning model for Lao PDR developed under the capacity building program. The model will be built on the Long-range Energy Alternatives Planning system (LEAP) platform, and used by the core team to forecast energy demands and supply processes, as well as to explore a range of uncertainties and normative scenarios. The capacity building program will be executed by the Stockholm Environment Institute (SEI) with the assistance of the USAID Clean Power Asia team. It takes a four-phased approach that tracks the analytical stages of a typical IRRP process. The phases and associated activities are summarized in the report.